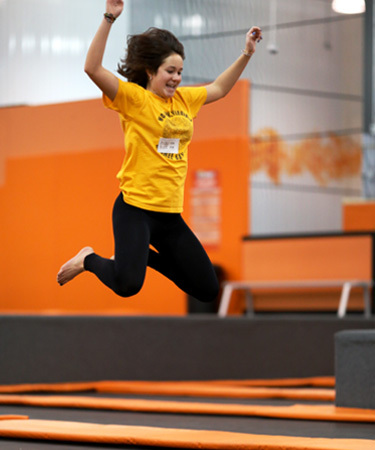 FreeFall Trampoline Park is an indoor entertainment center full of adrenaline pumping adventure. 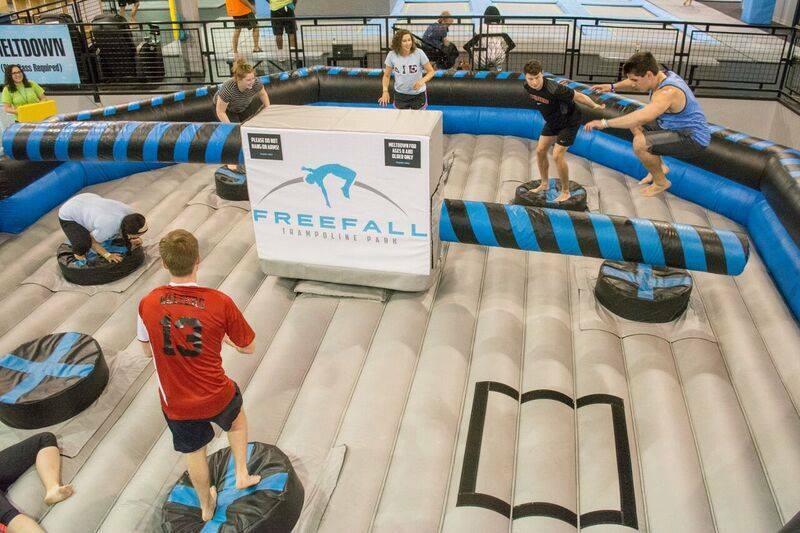 FreeFall features 33,000 square of wall to wall trampolines including performance trampolines, 3 dunk hoops, an air bag, dodgeball courts, Extreme Air and an 8 person battle game – Meltdown! We even have a Ropes Course! For those guests who join us as spectators we offer comfortable seating, free wifi, vending machines and massage chairs so you can sit back and relax while your little ones tire themselves out in our facility. No matter if you join us for a birthday party, a group outing or for an open jump session we are committed to giving you an experience you will not forget. What are you waiting for? Come on down to FreeFall and get your jump on!